In August 2019 a newly restored original Mk IX Spitfire will depart from the UK on a world-first circumnavigation of the globe. The House of Mumm champagne’s long history of supporting exploration and daring adventure is exemplified in this invitation-only club of adventurers, explorers and world-record holders. Ben Fogle successfully summitted Mount Everest (8848m) in May 2018, supported by the Anything Is Possible organisation. The climb also supported the work of the British Red Cross. 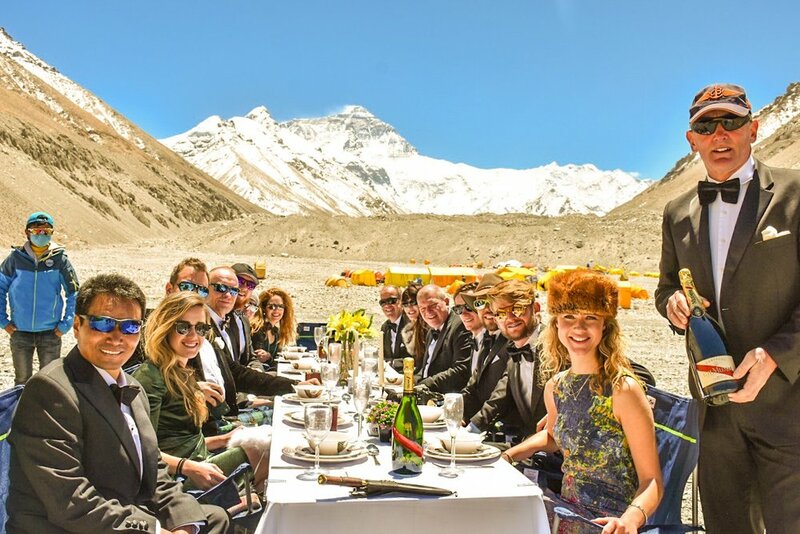 In May 2018 seasoned adventure Neil Laughton held the World’s Highest Dinner Party in the ‘death zone’ on the Nepalese face of Mount Everest.